Being in an Auto Collision is Scary – The Repairs Don’t Have to Be! Being involved in a car accident is frightening to even the most seasoned driver. Don’t let the repair process be even scarier. Be aware of your rights and let the experts at Limerick Auto Body help you every step of the way. We have three decades of experience working with major insurance providers. We know what it takes to process a claim and are happy to work with the insurance company on your behalf. Our loyal customers come from Pottstown, Limerick, Collegeville, Royersford, and the surrounding areas. After a collision, a car should not be driven, even if the damage appears minimal. Our qualified tow truck drivers will pick up the vehicle at the scene of the accident and deliver it to our collision center in Limerick. You will have peace of mind, knowing that your vehicle is in good hands. A detailed inspection of your vehicle will occur, estimating the cost of repairs. You will receive a written estimate detailing exactly what needs to be done to return your vehicle to its original condition. It is important to us to have our customers understand everything involved, before any work begins. Most insurance companies provide auto rental coverage while your vehicle is being repaired. We can set this up so that you can return to your daily routine while your vehicle is being repaired. We can help you negotiate your claim from start to finish. With over 30 years in the industry, we know the ins and outs. We have developed a strong relationship with major insurance companies. It is important to us to do repairs right the first time. We use state-of-the-art equipment to provide you with the best service possible. We also make sure your vehicle is properly aligned before leaving the shop. You can be confident that your vehicle is being serviced by certified technicians. Your vehicle will have no visible signs of repair. Our unique, patented spray technique allows us to match the exact color of your vehicle. There will be no difference between the repaired portion and the rest of your vehicle. Our quality service doesn’t stop once the repairs are completed. Our technicians wash the vehicle inside and out, returning it to you in pristine condition. We know this isn’t necessary, but we like to go the extra mile for our customers. Before you leave our shop with your vehicle, we will make sure that you are aware of the charges incurred. We will explain any further action that needs to occur with your insurance company. We are always a phone call away if you have any questions or need our service in the future. When you need it done right, insist on Limerick Auto Body. Contact us today to discuss your auto collision needs. 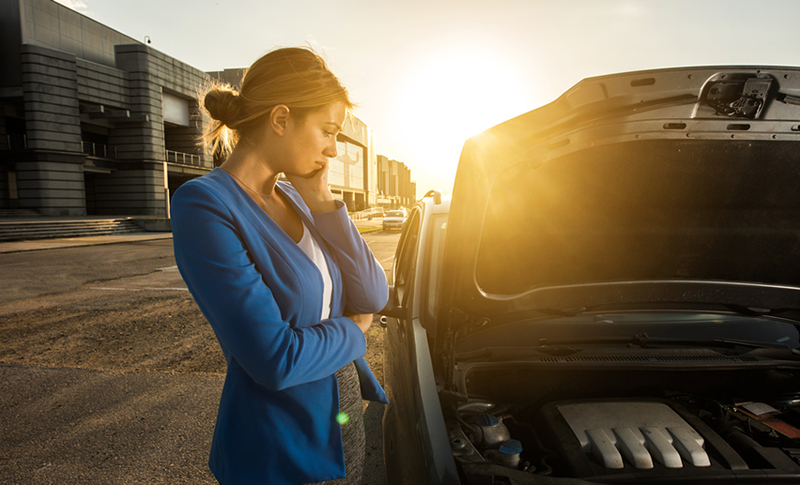 A crash is scary enough – repairing the vehicle afterwards doesn’t have to be!